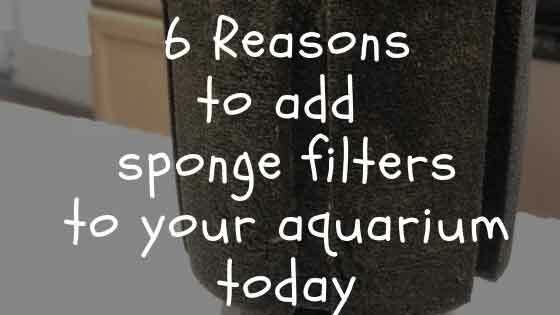 Here are 6 reasons to put 2 simple sponge filters in your aquarium sump today. The sponge creates some extra surface area for beneficial bacteria to grow on. This additional surface area gives your tank additional biological filtration capacity. Never a bad thing. Let’s face it–bullying and aggression happen in our tanks. Fish get too close to pumps and get injured. Having a sponge filter in your sump allows you to set up a hospital tank to nurture an injured animal back to health without taking any of the risks associated with new tank syndrome. You and I both know that jawfish isn’t sick, but it’s pretty funny. We all face that ‘gotta have it’ thing, when we stop in our local fish store or get that sale email from our favorite online shop. If you find that fish or coral at your local fish store (but don’t have your quarantine tank all set up), you can quickly get it all set up without waiting for it to cycle–or worse yet, adding your fish or coral to either the uncycled quarantine tank or the display tank and hoping for the best. You might be wondering why should you consider putting TWO sponges in the sump. The reason? It is the most efficient way for me to continually add new saltwater fish to the tank. When my tank is otherwise stable and/or I have not purchased a new fish or coral in a while, I shut my quarantine tank down. I completely dry it out and let it ‘rest’, rather than run it while empty. That cuts down on noise, maintenance, and electrical costs. When I buy a new fish, I simply do a partial water change in the main tank and use that wastewater to fill ~75% of the quarantine tank–and top off the rest of the tank with newly made saltwater (that’s essentially like giving it a 25% water change, right away). 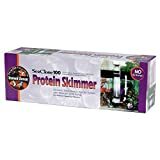 I grab the sponge filter from my sump and have the tank up-and-running in a matter of minutes, complete with conditioned water and an active, cycled biological filter. Then, after my fish or coral finishes their stay in quarantine, I clean out and dry the tank again (this prevents harboring of critters in the quarantine tank). At that time, I don’t want to return the sponge filter to the display tank…I simply clean that with freshwater and dry that out too. Then I start my QT tank all over again the same way I did the first time–with a water change from the display tank and setting up the filter with sponge # 2, which is all ready to go. Then I replace the clean, dry sponge back in the sump so it is ready in a month for my next cycle. What if your return pump burns out. If you don’t have a backup pump in the house, or even if you do but have to run to work right when it breaks, you could simply set up your sponge filters to keep life support going until you can make the switch. If you buy a battery operated air pump too, you’ll be ready to oxygenate and remove ammonia from your tank, in the event of a power failure, too. 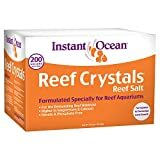 You can eliminate new tank syndrome in your zip code by allowing anyone starting up their own saltwater tank to borrow that sponge to help them jump-start their reef tank with a rockstar biological filter, courtesy of you. You might get a street named after you. You don’t need to ‘set the sponge filters up’. By this, I mean, you don’t actually hook them up to the air pump to make them bubble away in your sump, although you could if you wanted to. Assuming you have reasonable water flow through your sump, your sponge filter will naturally colonize with beneficial bacteria all on its own. Just be sure to shake the detritus out before you intend to use it as your quarantine filter so that it works efficiently in QT. If you don’t have a sump, you can still do the same thing by stashing the sponge filters behind the live rock in your display tank. As long as it’s out of sight, you won’t mind it in there and it will still be there and ready when you need it. For just a small amount of money, adding a sponge filter will increase the biological filtration capacity to your display tank, be ready to set up a quarantine or hospital tank at the drop of a hat or keep life-sustaining oxygenation and filtration in the event of a power failure. Why not take a moment to get prepared today. Add a couple of sponges to your shopping cart today.